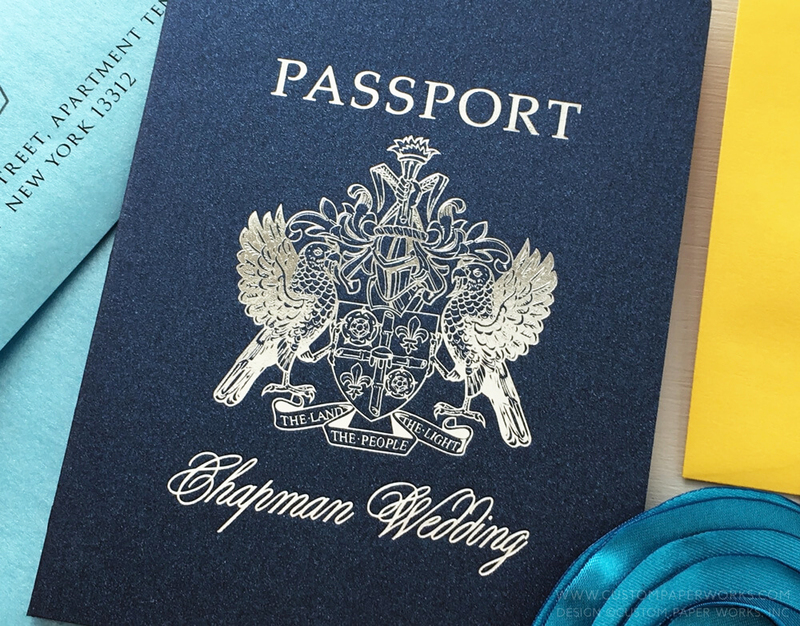 I designed these passport invitations for a destination wedding at Sandals Grande St. Lucian Beach Resort in Castries, St. Lucia. The St. Lucia emblem is wonderfully detailed, beautiful, ornate and delicate – even more so in luxurious shiny silver foil. 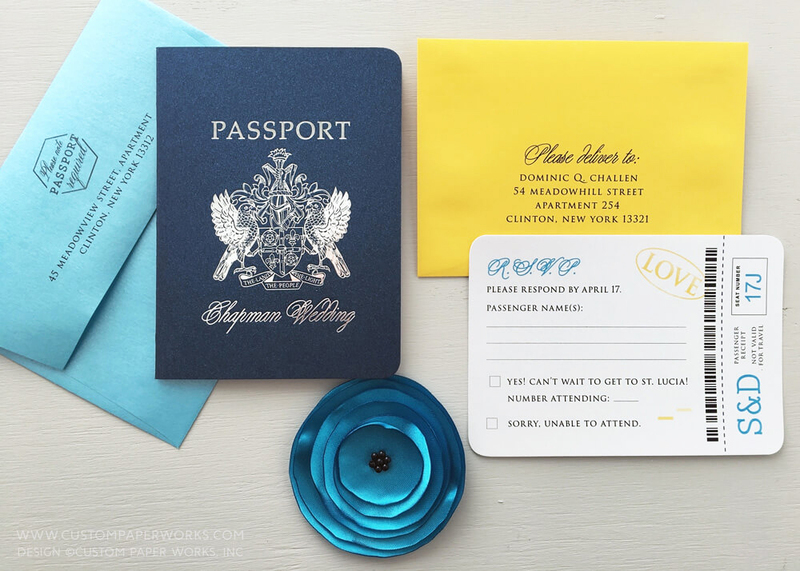 The script font was carefully chosen to compliment the emblem without overpowering it, and the mailing and rsvp envelope colors match the St. Lucia flag. 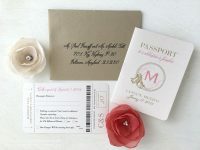 On the topic of envelopes, one of the perks of ordering your custom passport invitations here at Custom Paper Works is that envelopes OF ANY COLOR, MATTE OR SHIMMER, are included in the pricing. There are occasionally some super-unique-textured-patterned-glittered-foiled-amazing-crazy-specialty papers that might add a little to the cost, but 99% of the time, you are literally free to pick from hundreds of shades. Return address and rsvp address printing is also already included. And typically, the envelopes get their own custom design touches as well – such as the addition of faux passport stamp artwork; printed patterns or textures; or unique frames for the mailing address area. If you have any ideas, just ask! I really don’t want to create the same invitation over and over again anyway ; ) so please, just ask about any ideas you have for your own invitations! The St. Lucia Coat of Arms may be one of my favorites. 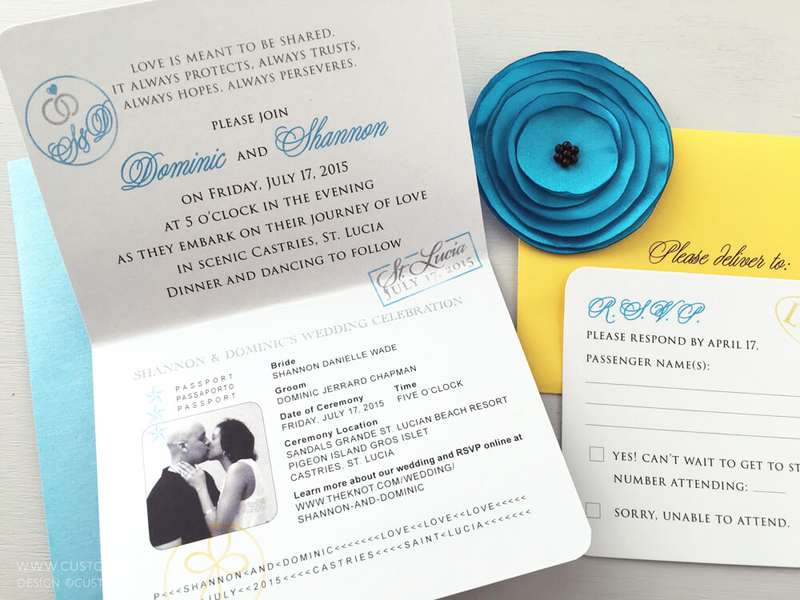 You can see another colorful St. Lucia passport wedding invitation I designed by clicking here. Getting married in St. Lucia? 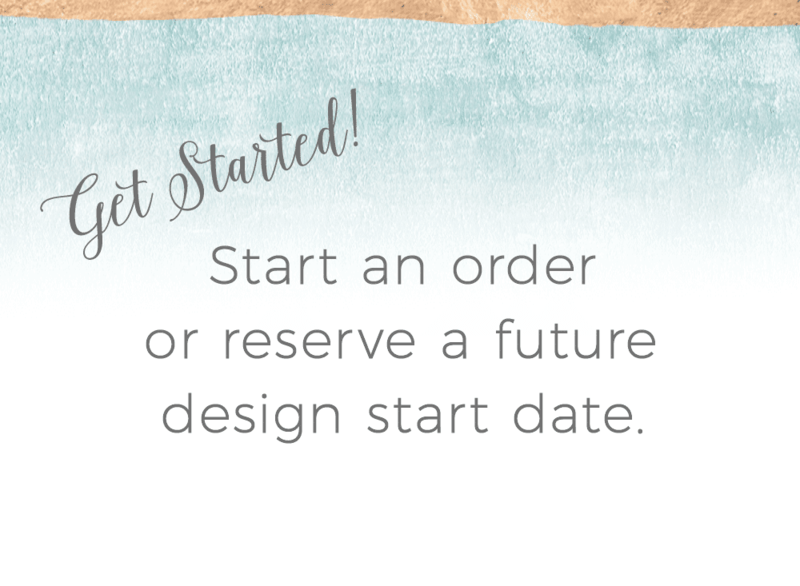 I’d love to design a destination wedding invitation unique to you!